BladeRoom offers truly quick-build data centers: a 120-rack data center can be ordered, built and operational in a 14-week timeframe. A very fast method of delivering a new quick-build data center facility and increasing capacity when required, the BladeRoom system gives a real commercial and operational edge. The BladeRoom system offers you a fast-track program to acquire quick-build data centers, operational in only a fraction of the time it takes to build traditionally. Program compression is possible because data center production takes place off site. 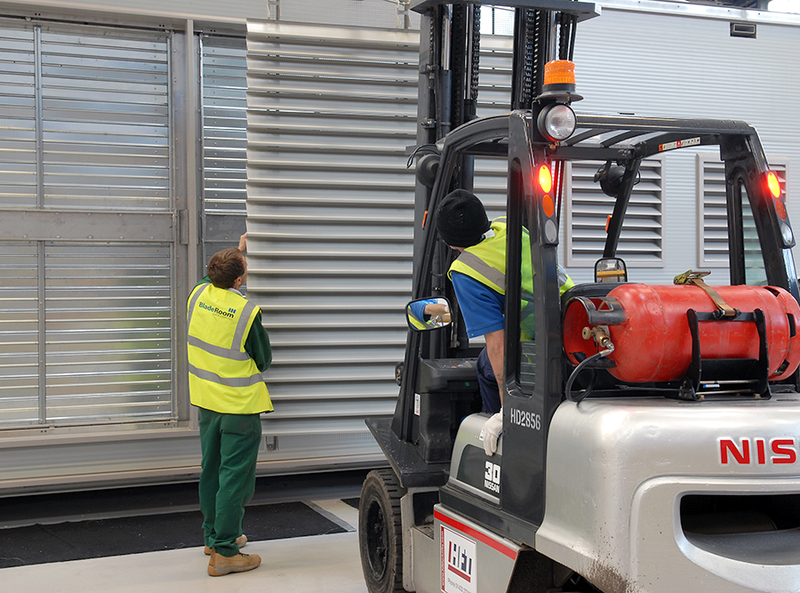 This assembly method allows all site and enabling works to take place concurrently alongside the manufacture of the data center. The speed of the program, coupled with the inherent scalability of the design, is the key reason the BladeRoom system offers fast procurement cycles and the provision of just-in-time, quick-build data centers. By providing quick-build data centers in extremely short timeframes, businesses can approach data center growth in a different way. With traditional projects taking as much as two years to complete, it is often necessary to invest in a large data center facility from day one, even if much of the capacity may go underutilized for a number of months or years. Developing a site using BladeRoom quick-build data centers can take as little as 14 weeks, allowing investment to be delayed until the additional capacity is required, removing risk and reducing day one capital expenditure.